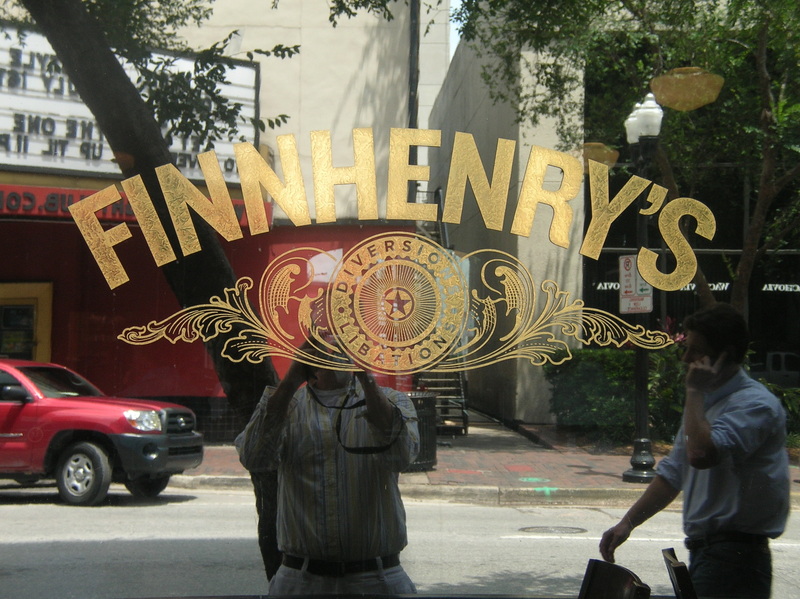 Finnhenry’s in downtown Orlando. Granted, I haven’t really given them a “fair” try since they replaced one of my favorite lunch hangout spots, Room 3-Nine, but I have to give them credit for attempting to bring some flair to the Central Florida area. I must say, too, that I like the layout of the restaurant/bar much more than 3-Nine. Now, their website touts them to be located in the “thriving” entertainment district of “diverse” downtown Orlando. I would argue that our downtown area is far from thriving, and the people who frequent it are about as diverse as Nicole Kidman’s facial expressions, but that’s beside the point. When I went there for lunch not too long ago I had to try their BBQ sandwich (sometimes a weakness of mine), accompanied by some yummy chips. If you want to check-out Finnhenry’s food menu before committing yourself to go, you can do that on their website by clicking here. You might also need a little something to wash down your food, so why not see what sort of drinks they offer while you’re at it. All-in-all I’d say Finnhenry’s is a decent place to grab something to eat. I’ll have to do another post when I’ve had a chance to hang out there at night. If you have any interest, you can be a friend of Finnhenry’s over on MySpace. Next Opa Yourself To a New Dining Experience!